I’m learning to knit and it is just as hard now as it was when I tried to learn it in high school in my Home Ec class. 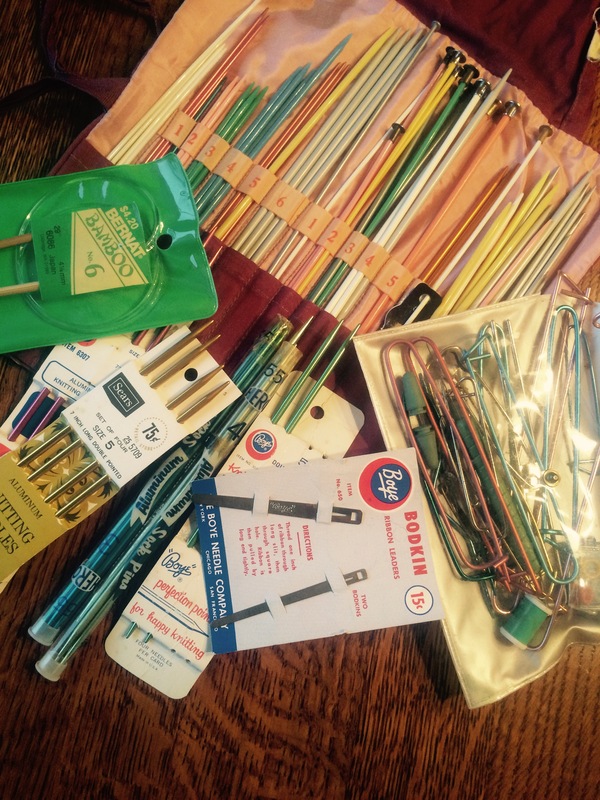 Crocheting came a lot easier for me so that was fine until I received my aunts knitting needles. She had quite an assortment of them and they intrigued me. I would look at them and think I should be able to knit, it cant be that hard. She had all kinds, metal ones, plastic ones, fat ones, skinny ones, long ones and short ones, some with points on both ends, and some that connected to each other with a plastic cord. 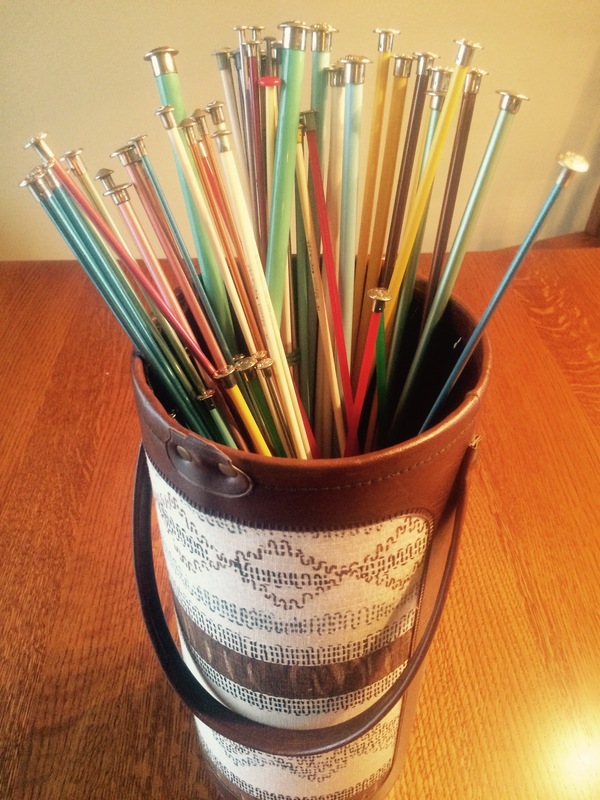 She had lots of other gadgets and markers and they were all in this very vintage looking needle holder. They really did look pretty impressive in my sewing room, but I confess they were just for show since I didn’t know how to knit. So I bought a book and decided to learn, but for some reason the book and I didn’t relate well. Which is not the norm for me, I usually learn very well from books. So, I decided to try taking lessons from Craftsy on my Ipad and it worked pretty good. I actually learned how to knit and purl and I made a little scarf that I won’t ever wear, but hey I managed to knit something. With help from my sister in law who knits, I managed to get a few tips and some encouragement. One thing I did learn is that I don’t like using metal needles. I bought some wooden ones and they work so much better for me. So I guess I will just have to look at all those metal needles sitting in my sewing room. I love looking at yarn, and not just the normal yarn in the stores, but the yummy yarn. The expensive and natural yarns, like wool and alpaca yarns. the kind of yarn you don’t want to make mistakes with! I did buy some of that yarn but decided to buy some cotton yarn also. So I have been practicing by making dishcloths. I was getting pretty fast by now on one pattern so I decided to try some new patterns. They were going pretty good and I managed to decipher the patterns. Except on one, I found out that I had been knitting wrong. It wanted me to knit ‘tbl’. I looked it up on the internet and realized that I had been ‘knitting through the back loop’ in all my knitting. I thought it looked just fine, but apparently there is a deference. And believe me knitting through the back loop is a lot easier for me than knitting through the front. So, my challenge is to knit the correct way through the front loop. 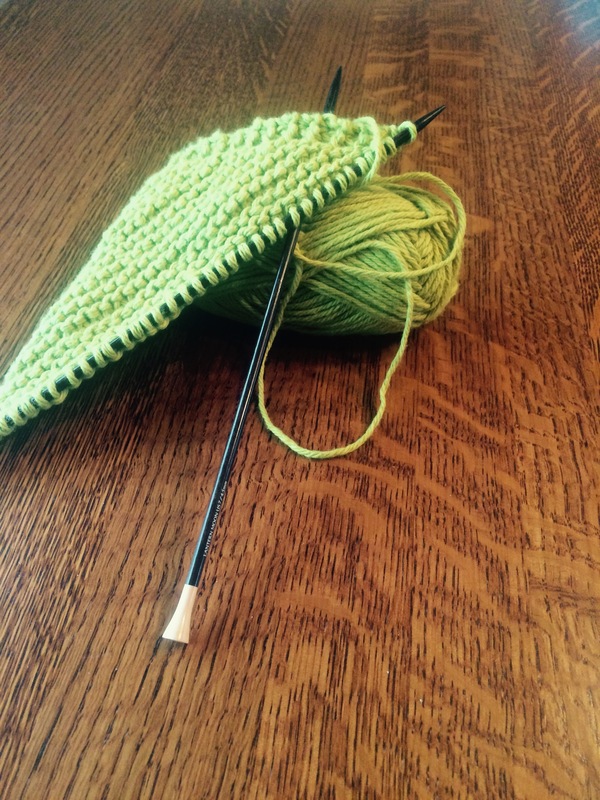 I am knitting the continental way and have tried the English, but it is just too awkward for me. I am learning the basics and realizing that there is so much more I can learn. 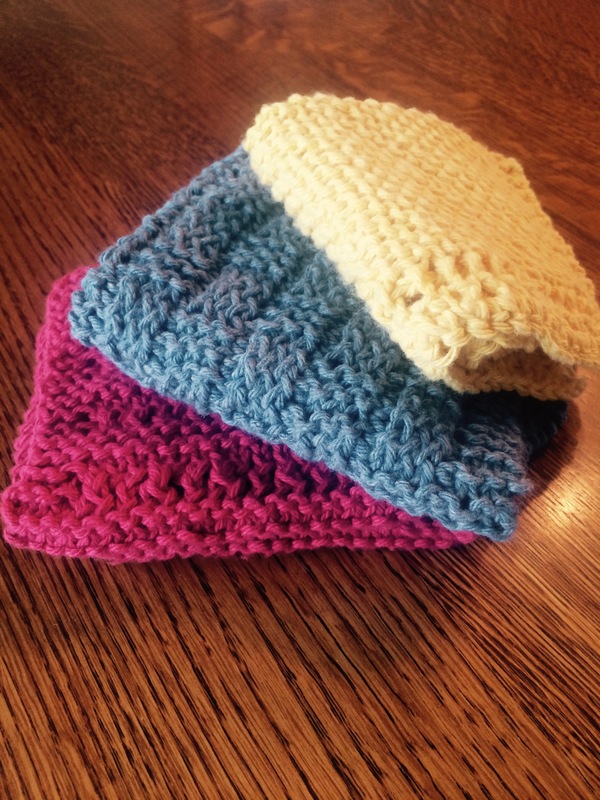 I have managed to get quite a few dishcloths made and they make nice little gifts also. I did manage to make a infinity scarf for my sister for Christmas with some of that yummy yarn and had enough yarn left to make a cute little hat with a flower on it. I’ll have to get my nieces little girl to model it for me. I took a picture but it just doesn’t look as cute sitting on a table. Thanks Sharon, that is good to know! I may just have to seek some advise in the future. Go Susie! I am intrigued as well by the yarn and all the different needles..I have picked up an assortment of all kinds, and also purchased on clearance a set of beautiful wooden ones. Do I knit? Not really, but I too, love looking at them and thinking of all the projects I will do “someday”! I will vicariously enjoy your journey!